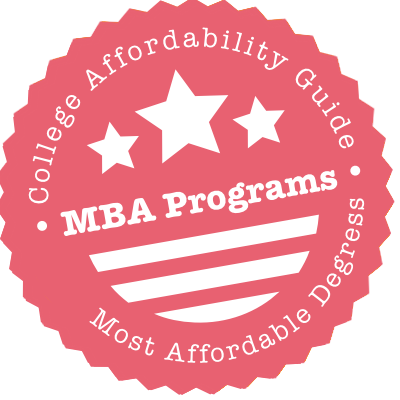 Scroll down to see the most affordable MBA degrees, as well as info on the different types of MBA programs and MBA program accreditation. This search widget accesses a list of schools that help sponsor this website by paying a small fee for student inquiries. They are all accredited institutions. Some may be included in our rankings, but that is not related to their participation as an advertiser. In general, evaluating as many schools as possible (whether through this widget or through other sources of information) will help you find the best fit. The Paul Merage School of Business at UC Irvine offers the following Master of Business Administration programs: full-time MBA, Fully Employed MBA (FEMBA), Executive MBA (EMBA), and Health Care MBA (HCMBA). Dual degree options are available in medicine (MD/MBA) and law (JD/MBA). The FEMBA is a part-time program that can be completed in 24-33 months. The program is available on campus or via a combination of online and on-site delivery. The 21-month EMBA is designed for professionals with at least eight years of managerial experience. The HCMBA provides students with the fundamentals of business management within the content of the global healthcare industry. California residents admitted to the full-time MBA program are automatically guaranteed to receive at least a $10,000 fellowship. The Mays Business School at the Texas A & M University College Station offers a full-time 16-month MBA program that allows students to customize their degree through electives, study abroad opportunities or internships. Their Professional MBA program is a 22-month program for working professionals. Classes meet on alternating weekends at their private City Center facility. The Executive MBA is a two-year program designed to transform seasoned professionals into effective business leaders. The program was ranked by Financial Times (2014) as the No. 6 program offered by a public institution. All Mays Business School programs are accredited by the Association to Advance Collegiate Schools of Business International. The full-time MBA program offered by the Kenan-Flagler Business School at the University of North Carolina Chapel Hill was ranked No. 12 overall by Bloomberg Businessweek in 2014. The Executive MBA at Kenan-Flagler is offered in three formats – Evening MBA, Weekend MBA and Global OneMBA. These programs are ranked in the national Top 10 by U.S. News and World Report (2015). UNC also offers an online MBA program with concentrations in Corporate Finance, Entrepreneurship, Global Supply Chain Management, Marketing, Investment Management, and Sustainable Enterprise. This program has been ranked as the No. 1 online MBA program in the country (U.S. News and World Report, 2015). UNC Kenan-Flagler is accredited by Association to Advance Collegiate Schools of Business International. The full-time MBA program at UCLA’s John E. Anderson Graduate School of Management has 13 areas of specialization and 10 concurrent degree programs. The Fully-employed MBA (FEMBA) program offers three flexible schedules, including one that allows students to attend classes one weekend per month on campus, with the remainder of the coursework completed online. The Executive MBA (EMBA) is a two-year program that meets on campus on alternate weekends throughout the academic year, with electives offered during the summer term. Students who complete the 15-month Global EMBA for Asia Pacific receive two unique MBA degrees (one from UCLA and another from the National University of Singapore). Global EMBA classes are held in four international business hubs – Singapore, Los Angeles, Shanghai, and Bangalore. The full-time, accelerated Master of Business Administration (MBA) degree offered at Liautaud Graduate School of Business is a day-time, on-campus, cohort program that can be completed in as little as a year. Liautaud also offers a two-year, weekend MBA program that meets on Saturdays and a flexible online MBA program that can be completed in 18 months. The program’s core curriculum consists of the following seven courses: financial accounting, corporate finance, marketing, microeconomics, operations management, organizational behavior, and enterprise strategy. MBA students have the option of completing another graduate degree at the same time as their MBA. The following joint degree options are currently available: MBA/PharmD (Doctor of Pharmacy), MBA/MSA (Master of Science in Accounting), and MBA/MIS (Master of Information Systems). Through its Zicklin School of Business, Baruch College offers both a full-time MBA program and a flexible MBA program. The full-time MBA program can be completed in four semesters (22 months) of full-time study, while the flexible MBA program allows students to vary the number of courses they take per semester and is completed in three to four-years on average. The flexible MBA program is also offered primarily through evening courses to accommodate the schedules of working students. MBA students at Baruch can choose from over 15 majors, including accountancy, decision sciences, economics, finance, marketing, real estate, statistics, taxation, international business and four different management concentrations. According to U.S. News and World Report, MBA graduates from the UC Riverside School of Business have one of the best salary-to-debt ratios in the country. The average 2016 grad pulled in $103,000 in annual earnings within three months of graduating – and owed less than $42,000. To cut down on that loan debt, students in the MBA or Flex MBA programs can apply for nearly a dozen Anderson Graduate School of Management awards, and two are even reserved for them. The George DuBois Memorial Award is a $1,500 scholarship for second-year students; the Jamie Fang Scholarship pays $1,000 to outstanding international students. The Rady School of Management at UC San Diego offers both Full-time MBA and Flex MBA programs. Students can customize their MBA degree by taking electives in areas such as finance, marketing, operations, new product development, technology commercialization, and venture capital management. College seniors or recent graduates with excellent academic credentials can apply for the Direct to Rady program that admits exceptional individuals to the MBA program. The Flex MBA offers two scheduling options. The evening program meets two evenings a week and can be completed in 30 months, while the weekend program meets on Friday and Saturday of alternating weekends and can be completed in 24 months. Rady School provides a number of merit-based fellowships for academically outstanding MBA applicants. The Carlson School of Management at the University of Minnesota Twin Cities offers a traditional full-time MBA program, (a two-year program with a two-week overseas study exploration), a part-time MBA program (average program completion is 3.5 years), an Executive MBA program and a dual degree program. Its Executive MBA program can be pursued at the Minneapolis campus, in Vienna, Austria (in partnership with the Vienna University of Economics and Business) or in Guangzhou, China (in partnership with the Lingnan College at the Sun Yat-sen University). The Carlson School also offers a Dual Degree Program that enables students to earn their MBA in addition to the following degrees: MA-HRIR, Juris Doctor, MD, Master of Healthcare Administration, Master of Public Policy and Doctor of Pharmacy. The Business School at Rutgers University offers a full-time M.B.A. program, a part-time M.B.A. program and an executive M.B.A. program. The full-time M.B.A. is a traditional, on-campus program with concentrations in analytics and information management, entrepreneurship, finance, global business, marketing, marketing research insights and analytics, pharmaceutical management, strategy and leadership, and supply chain management. The part-time M.B.A. program offers traditional on-campus classes, along with online, evening and weekend classes. The part-time program offers the same concentrations as the full-time program, as well as an accounting concentration and customized concentrations. The executive M.B.A. is a 57-credit program designed for experienced business professionals and can be completed in 20 months. Dual M.B.A. degrees are also available in 11 fields, including medicine, public health and public policy. The MBA programs at SUNY Oswego are designed to be flexible and have an elective focus. MBAs are offered in Health Services Administration, Business Administration, and Public Accounting. Students who meet the foundation requirements can complete the program with 36 credits, including six core classes, four electives, and a capstone course. Students are accepted into the program on a rolling basis and can enter at any semester. Classes average about 20 students, and courses are offered in Oswego, at the SUNY Metro Center in Syracuse, and online. The Business Administration and Health Services Administration programs can be completed completely online. Oswego’s online MBA program ranked 14th in the 2014 U.S. News rankings of Best Online Degree Programs: Business. The Haas School of Business at UC Berkeley offers three Master of Business Administration programs: full-time MBA, evening & weekend MBA, and the Executive MBA. The full-time MBA can be completed in two years (four semesters) and offers the following areas of emphasis: finance, marketing, strategy/consulting, corporate social responsibility, energy and clean technology, entrepreneurship, global management, health management, social sector leadership, real estate, and technology. Students who choose the evening and weekend MBA can expect to earn the degree within three years (six semesters), while the EMBA program can be completed in 19 months (five terms). Concurrent degree programs are available in: MBA/JD (Juris Doctor), MBA/MPH (Master of Public Health), and MBA/Master of Arts in International and Area Studies. UC Davis offers a Master of Business Administration program that allows students to concentrate in the following areas: marketing, entrepreneurship/innovation, technology management, strategy, business analytics & technologies, finance/accounting, general management, and public health management. Concurrent degree programs with other UC Davis colleges are available for MBA students, including the School of Law (MBA/Juris Doctor) and the School of Medicine (MBA/Medical Doctor). Part-time MBA programs are offered in San Ramon and in Sacramento. Students who choose a part-time program can expect to complete their MBA degree within 24 to 48 months. Ninety percent of incoming MBA students receive financial assistance, ranging from $3,000 to $39,000. Scholarships are available for several fields, including technology management, entrepreneurship/innovation, energy and sustainability, and healthcare innovation. Appalachian State University’s Walker College of Business offers an MBA degree in seven concentrations: business analytics, economics, international business, leading and managing human resources, supply chain management, sustainable business and interdisciplinary business. The MBA is offered in an on-campus, compressed format that allows students to earn their degree in one calendar year of full-time study. It is also available in an off-campus format that allows students at the school’s distance learning campus in Hickory, North Carolina to earn their degree in two years of part-time, year-round study. MBA students are required to complete 27 credit hours of general business coursework and nine credit hours of coursework in their chosen concentration. Rolling admission allows MBA students to enroll in fall, spring or summer. The MBA program at the Isenberg School of Management at the University of Massachusetts in Amherst is accredited by the Association to Advance Collegiate Schools of Business (AACSB) International. Selected full-time MBA students are awarded a two-year fellowship that fully funds their MBA education at the Isenberg School of Management. In addition to covering full tuition, the Isenberg MBA Fellowship program offers an annual stipend and health care. The full-time MBA program has four areas of focus: entrepreneurship, finance, healthcare administration and marketing. The school also offers a part-time MBA program for students who live in the Massachusetts area. Students have the option of taking some classes online and others at a satellite location in Boston, Shrewsbury and Springfield. St. Cloud State University’s Herberger Business School offers MBA degrees in two formats: the flexible MBA format and the cohort MBA format. The flexible MBA program is a 36-credit program that can be completed in 16 months of full-time study or 28 months of part-time study, with classes offered in the evening. The cohort MBA program is a 36-credit program that is designed for working professionals with three to five years of professional experience. The program can be completed in 28 months, and classes are held one evening per week. Both MBA programs are accredited by the Association to Advance Collegiate Schools of Business (AACSB). The School of Business and Economics at Michigan Technological University offers a Master of Business Administration degree that combines business and technology education. The Tech M.B.A. is a 36-credit program that is accredited by the Association to Advance College Schools of Business and takes three semesters to complete. The program includes 12 required courses, and students take four courses per semester. Program coursework covers subjects like operations management, technology management, managerial economics, financial reporting, marketing behavior, corporate strategy and financial risk management. M.B.A. students also have the opportunity to participate in the M.B.A. Association, a student organization for graduate business students that focuses on professional development. Additionally, M.B.A. students are eligible for graduate teaching assistantships through the School of Business and Economics. The AACSB-accredited Master of Business Administration degree at CSU Long Beach offers an evening MBA program with specializations in finance, management, human resources management, information systems, and marketing. There is also a full-time accelerated MBA program that can be completed in just over one year. The program is ideal for students with limited work experience. Students with at least three years of work experience can apply for admission to the Saturday MBA, a 48-unit program that can be completed in 23 months. A mandatory one-week international trip is part of the both the accelerated and Saturday MBA programs. There is also an MBA/MFA program available. The Charles Hamburger Ph.D. Student Award provides assistance to MBA students with demonstrable financial need. WIU’s Master of Business Administration is built to be a fifth-year degree alongside any number of bachelor’s programs, ranging from a BS in Computer Science to the more obvious Bachelor of Business in Management. Securing an assistantship – available for roughly 10 to 20 percent of MBA seekers – would lower costs. Returning Peace Corps volunteers interested in an MBA should apply for the school’s Peace Corps Coverdell Fellows Program. If accepted, they take part in a two-year program (including an 11-month internship centered around community and economic development); in return they receive a tuition waiver plus generous stipends. SUNY University at Albany provides three formats for its MBA programs: full-time, part-time evenings, and part-time weekend. The full-time MBA has six different concentrations, including cyber security, information systems and business analytics, and entrepreneurship. This cohort-based degree includes the Going Green Globally program where students team with faculty and business executives to develop sustainable solutions to business problems. The evening MBA has seven optional elective tracks. Students typically take two courses per term, each meeting one night a week. Students can complete the weekend MBA in a little less than two years, including an executive trip abroad that is included in the cost. Classes meet every other Friday and Saturday, with the international trip taking a week in the summer. The College of Business at Iowa State University offers a full-time MBA program on its Ames campus and a Professional MBA program at Capital Square in Des Moines. The full-time MBA degree can be attained in two-years after completing 48 credit hours of study. The program curriculum requires 30 credits of core courses and 18 credits of elective coursework. Five concentrations are available: accounting, finance, technology and innovation management, marketing and supply chain management. The Professional MBA program is identical to the full-time MBA program except it offers more flexible scheduling options. Professional MBA students can take all core classes in the evening in downtown Des Moines, while elective classes can be taken in either Des Moines or Ames. SUNY New Paltz offers a one-year Master of Business Administration degree that is accredited by the Association to Advance Collegiate Schools of Business (AACSB). The program can be pursued on a full-time or part-time basis, and up to 75 percent of the courses are available online and during weekends. Students can customize their program by taking elective courses that support their interests and professional goals. Elective courses are offered in the fields of accounting, finance, international business, marketing, and management. There is also an MBA in Public Accountancy degree available for students enrolled in the BS in Accounting program at the university. Students who complete this program meet the educational requirements for the Certified Public Accountant examination in New York. The MBA offered by the Dillard College of Business at Midwestern State University is designed for maximum flexibility, with students able to take courses on campus, online, or in a hybrid format, changing formats as their needs change. The MBA is a 33-credit, non-thesis program with two optional concentrations: oil and gas energy management or accounting. Students who did not get an undergraduate degree in business can take a six-credit leveling course to make up for the 27 credits in common body of knowledge classes required to enter the program. GMAT scores are required, and applicants should have a GPA of 3.0 on their undergraduate work. Candidates usually complete the MBA in one to two years. The Hough Graduate School of Business is part of the Warrington College of Business Administration at the University of Florida. In 2014, the Economist ranked UF MBA as the top 19th full-time program among public universities in the country. An impressive 98 percent of professors at the Hough Graduate School of Business have doctorate degrees. The on-campus program has three full-time formats to accommodate different schedules – a traditional two-year option, a 12-month and a 10-month option. There is also a weekend-based Working Professional MBA program for individuals who wish to earn an MBA without putting their careers on hold. Students can choose to concentrate in supply chain management, strategy, real estate, marketing or finance. The full-time Master of Business Administration program offered at UIUC’s College of Business allows second-year MBA students to customize their degree by taking elective courses in the following fields: corporate and social responsibility, finance, management (general, information, operations, and strategic), human resources, marketing, and international business. A part-time professional MBA program is also available. This is a cohort program that can be completed in two and a half years. The Executive MBA can be completed in 19 months and meets four days each month in downtown Chicago. The EMBA has a capstone international consulting experience that provides students with the opportunity to apply their knowledge to real-world challenges in an international setting. The college’s MBA program is also available online. The Jenkins MBA program at North Carolina State University comes in three formats to meet the needs of different students: full-time MBA, professional evening MBA, or professional online MBA. Students start the full-time program in the fall and attend classes in Raleigh for 21 months. MBA candidates have a choice of six concentrations, and 60 percent of full-time MBA students receive merit-based assistantships or scholarships. The professional programs allow students to enter in the spring or fall, and students can graduate in as few as 21 months or take up to six years. Both programs require two three-day residencies in Raleigh. The evening MBA classes meet in Raleigh with optional Saturday classes. The School of Business at Alfred University offers a Master of Business Administration degree that is accredited by Association to Advance Collegiate Schools of Business. The M.B.A. requires 30 credits of coursework and can be completed on a full or part-time basis. Students who take a full-time course load can complete the program in under one calendar year. The M.B.A. curriculum includes 19 credits of core courses and 12 credits of electives, which can be used toward the completion of a concentration in accounting, sustainable business or health care management. M.B.A. students are eligible for graduate assistantships in which they complete 7.5 hours of work per work in exchange for a 50 percent tuition remission. Binghamton University’s School of Management offers three MBA options: a Four-Semester MBA, a Fast-Track MBA and a Professional MBA. The Four-Semester MBA is designed for students looking to complement their liberal arts, fine arts, science or engineering background with business training and is offered in five different concentrations: accounting, finance, leadership studies, supply chain management, management information systems and marketing. The Fast-Track MBA can be completed in one year and is offered in three different formats: the Management Fast-Track MBA for students with a business background, the Harpur Fast-Track MBA for students with a liberal arts background and the Watson Fast-Track MBA for students with an engineering background. The Professional MBA is also a 12-month program designed for students working full-time. The Eli Broad College of Business at Michigan State University offers two MBA programs: the Full-Time MBA program and the Executive MBA program. The Full-Time MBA is a 21-month program that is offered in four concentrations: finance, human resource management, marketing and supply chain management. The program curriculum requires 30 credit hours of core classes, 15 credit hours of concentration courses and 15 credit hours of elective courses. Additionally, dual MBA degrees are offered in medicine, law and global management. The Executive MBA program is a part-time program, with classes held every other Friday evening and Saturday. The Executive MBA requires 46 credit hours of coursework and can be completed in 20 months. The College of Business at Minnesota State University-Mankato offers a Master of Business Administration degree with tracks of study in leadership and organizational change, international business and healthcare administration. Students can also choose a self-designed track. The M.B.A. curriculum requires the completion of 34 credits, including seven core courses, four strategy courses and three concentration courses. Two M.B.A. courses are offered each semester, and students can decide whether to take one or both classes depending on how quickly they want to finish the program. Classes are eight weeks long and take place during the evening. Students in the program also have the opportunity to study abroad and participate in the College’s Executive Lecture Series. The M.B.A. program at UNCG is ranked #13 nationally by Bloomberg Businessweek. M.B.A. students have the opportunity to make valuable connections with the assistance of the Bryan Career Services team, and the program has an exceptional track record for job placement and salary increases. The program boasts one of North Carolina’s largest and oldest network of M.B.A. alumni. The M.B.A. program is available in classes that are scheduled during the day or evening classes. Fellowships and assistantships are available to help students manage the cost of graduate education. However, these positions are very competitive and labor intensive. The College of Business and Administration at the University of Colorado in Colorado Springs has both an on-campus and online MBA program. The 2015 U.S. News and World Report ranks the online MBA program at UCCS as one of the 50 best programs in the country, and it earned the highest ranking of all the MBA programs in the state. Students have the option of pursuing a general MBA or choose from the following 11 areas of emphasis: Accounting, Finance, General Business, Health Care Administration Innovation Management, International Business, Management, Marketing, Operations Management, Project Management and Service Management. The College of Business and Administration at UCCS is accredited by the Association to Advance Collegiate Schools of Business (AACSB). More than 80 percent of the MBA candidates at the College of Business in the University of Nebraska Omaha are working professionals. Two-thirds of them have a business background. UNO CBA designed and developed the MBA curriculum with the goals and background of these students in mind. Classes are small and students interact with an award-winning faculty. Students can choose from eight areas of concentration: Electronic Business, Investment Science, International Business, Human Resource Management, Healthcare Management, Sustainability, Risk Management and Collaboration Science. The UNO MBA program is accredited by the Association to Advance Collegiate Schools of Business (AACSB) International. The MBA program offered at the Mihaylo College of Business and Economics at Cal State Fullerton can be completed on a part-time (two and a half years) or full-time (less than two years) basis. The program has 13 concentration areas: accounting, business analytics, decision sciences, economics, entrepreneurship, finance, general, information systems, international business, management, marketing, organizational leadership, and risk management and insurance. The college also offers an MBA program for students who are also full-time professionals (Fully Employed MBA). This is a cohort-based program that can be completed in 36 months. Newly-admitted MBA students are considered for the following scholarship programs: Mihaylo Leadership Scholarship ($10,000 disbursed over four consecutive semesters) and the Michael A. Reagan Graduate Scholarship ($8,000 disbursed over two semesters). The Master of Business Administration degree offered at West Virginia University is a 14-month full-time program that is accredited by the Association to Advance Collegiate Schools of Business (AACSB). Students who wish to pursue a second graduate degree concurrently with their MBA can take advantage of the following dual degree options: MBA/MS in Human Resources and Industrial Relations, MBA/MS in Sports Management, and MBA/MS in Finance. The dual degree option allows students to graduate with two master’s degrees within two years. MBA applications are automatically reviewed for qualification for tuition waivers based on academic merit. Students can also apply for graduate assistantships, which typically include tuition waivers for the fall and spring semesters, health insurance, and a monthly stipend of $1,100. The Belk College of Business at UNC Charlotte has an MBA program that gives students the option of concentrating in one of 13 areas or pursuing a general degree. Available concentrations include: applied investment management, business analytics, business finance, energy, financial institutions/commercial banking, global business, information and technology management, management, marketing, quantitative methods, real estate finance and development, and supply chain management. Students who attend full time can complete the degree in as little as 17 months. Part-time students may be able to complete the 37-credit-hour program in two years. UNCC offers evening MBA classes at the Center City campus. In addition to traditional fall and spring semesters, classes are offered in two special summer sessions. The Terry College of Business at the University of Georgia offers an MBA program that allows students to choose from among nine areas of concentrations: risk management, real estate, operations management, marketing, human resources management, healthcare management, finance, entrepreneurship and business analytics. There are three different programs designed to accommodate every type of student. A full-time MBA consist of 100 percent classroom instruction at the main UGA campus in Athens. The Professional MBA consists of 70 percent classroom instruction and 30 percent distance learning. The Executive MBA consists of 50 percent classroom instruction and 50 percent distance learning. All Terry MBA programs are accredited by the Association to Advance Collegiate Schools of Business (AACSB). The Executive Master of Business Administration (EMBA) degree offered at the University of Idaho’s College of Business and Economics is accredited by the Association to Advance Collegiate Schools of Business (AACSB). The EMBA is a 22-month program that holds classes once a month for three days (Thursday – Saturday) at the Coeur d’ Alene campus. Students take a variety of courses that cover topics such as strategic business communication, marketing management and innovation, and integrative business analysis. The EMBA program provides students with an integrated business model that focuses on globalization, leadership, sustainability, and relationship management. Up to 20 percent of EMBA students receive financial assistance from a variety of scholarship programs such as the Paul W. Atwood Graduate Fellowship. The College of Business at the University of North Texas offers the following MBA programs: business studies (with a focus on international business, library science and technology, real estate, or sustainability), decision sciences, energy, finance, health services management, information technology, logistics and supply chain management, marketing, marketing analytics, operations and supply chain management, organizational behavior and human resources, and strategic management. The finance, marketing, and strategic management programs are also offered entirely online. All programs consist of 36 hours of courses. Accelerated online programs offer courses in eight-week sessions. Students in MBA programs will take courses like Marketing Concepts, Management Issues, Statistical Analysis, Economic Concepts, Accounting for Management, and Organizational Behavior and Analysis. There are three MBA programs offered at Stanislaus State University: traditional, executive, and online. Students accepted to the traditional MBA program can earn their degree in as few as two years or up to seven years. Classes are held in the evenings only. The executive MBA is designed for students with at least five years of experience and can be completed in 15 months. Classes are held on Saturdays only. Online MBA classes are asynchronous, giving students ample flexibility in completing their degree. The College of Business Administration at Stanislaus is accredited by the Association to Advance Collegiate Schools of Business (AACSB). MBA students with an EFC (Estimated Family Contribution) of below $4,000 may be eligible for the MBA Grant. All the Master of Business Administration (MBA) programs offered at Fresno State’s Craig School of Business are AACSB-accredited. The school’s traditional MBA is a 16-week semester program with classes delivered on-site from Monday to Thursday. The online MBA program follows the same structure and coursework as the traditional MBA, but allows students to access courses and attend classes either on campus or online. Applicants for the Executive MBA must have a minimum of 10 years of work experience, with at least three years in a managerial position. Classes are held on-campus on Saturdays for eight weekends, with an intensive session at the beginning of the program. There is also an Ag MBA program for students working in industries connected to agriculture. The David Nazarian College of Business and Economics at CSUN offers a Master of Business Administration program that is accredited by AACSB (Association to Advance Collegiate Schools of Business). Students have the option of earning a general MBA degree or specializing in one of the following areas: accounting, economics, entertainment, finance, human resources, information systems, international business, management, marketing, sustainability, or systems and operations management. Classes are offered in the evenings to accommodate the schedule of working professionals. Although students have the option of taking a comprehensive exam as a culminating experience, many opt to participate in a consulting project, where they are given the opportunity to work with real clients to produce a marketing/business plan or a feasibility study for them. Classes for the Master of Business Administration program at Cal Poly Pomona are held in the evenings (and occasionally on Saturdays), giving full-time working students the flexibility they need to earn their MBA degree without taking time off from work. CPP’s MBA program is designed as a two-year cohort and accredited by the AACSB (Association to Advance Collegiate Schools of Business). Students are required to take courses such as business data analytics and modeling, leadership and ethics in organizations, and management strategies. Students have the option of taking a comprehensive exam, completing a business research project, or writing thesis in order to earn their degree. MBA students can apply for the Graduate Presidential Fellowship ($3,000), which supports qualified full-time CPP graduate students. Students admitted to the Master of Business Administration program at USF’s Muma College of Business can choose from two areas of concentration – supply chain management or sports and entertainment management. In addition, they can opt to specialize in a specific area by taking three courses in that area. Specializations are offered in several fields, including analytics and business intelligence, digital marketing, project and process management, and sustainable business. Alternative scheduling is possible, giving students the opportunity to shorten the time it takes to earn their MBA. An Executive MBA program is also available. The EMBA program can be completed in 21 months and includes a required international component that takes place in the summer between the first and second year of study. The College of Business at Old Dominion University offers an Association to Advance Collegiate Schools of Business (AACSB) accredited MBA program that can be completed on-campus, online or in a hybrid format. ODU’s MBA program is an accelerated program that consists of short, seven and a half week courses. Students with an undergraduate business degree can earn a general management MBA with 40 credit hours of coursework, while students with non-business degrees can complete the program with 45 credit hours of coursework. Specializations are available in the form of graduate certificates that can be completed in areas like maritime and port management, modeling and simulation, public procurement and contract management, global health, and science administration. When top-tier schools are asking for $60,000+ in tuition, is it really possible to gain a creditable and affordable MBA degree? Are there any worthwhile online MBA programs? Will an MBA degree from a school other than Harvard or Wharton help me gain a better salary, change careers or launch a company? The answer to all of these is “yes”, but it may take you a little longer to assess your options. To take the pain out of that process, we’ve put together a guide to comparing schools. Here you can match affordable MBA programs against a shortlist of criteria, decide which type of MBA degree is best for your needs and discover whether your employer will help pay for tuition. First off, make sure an MBA degree is worth your time and money. Crappy, third-tier programs have become so common that some job experts are arguing MBAs are not worth the paper they’re printed on. That means you need to research the real return on investment (ROI) for both online and traditional options. Get out a cost calculator and compare program fees and loan payments with your estimated future earnings. Ask colleagues and mentors whether this is a good time in your career to be pursuing an MBA. Weigh up the non-numerical costs (stress, time away from the workforce or family, commute) with the benefits. Remember that you will usually be required to have a few years of job experience before you are eligible to apply. If you’re intent on taking the plunge, look for an MBA program that builds on your existing skill set, increases your earning potential and provides long-term educational value. Plain and simple, reputable MBA programs are accredited. It’s such a big deal that we decided to cover this subject in a separate Accreditation section . Internships with well-respected businesses, non-profits or entrepreneurs? Incubator programs funded by venture capitalists? Work-study programs that give you real-world experience in your area of interest (e.g. globalization, sustainability, etc.)? Internships and work-study programs are especially important if you’re taking an online degree. Future employers will want to see evidence of hands-on work. Unfortunately, an MBA is no longer a guarantee of employment. To avoid being buried under a pile of résumés, some employers may only recruit from certain schools. A good MBA program should be upfront about job placement figures. Don’t be afraid to ask for proof. Are you hoping to be a global entrepreneur? Investigate MBAs that organize international trips or internships to developing countries. Are you focused on a specific field like technology or finance? Go the source. Techies could consider programs close to Silicon Valley; money gurus may want to be near Chicago, New York or London. Are you interested in working for a particular industry? See if the faculty and/or the program have established any public-private partnerships. Living in the hinterland shouldn’t stop you. A strong online program will provide you with both virtual and real-life networking opportunities. University websites will sell and sell hard. But you don’t have to rely on their words to assess the worth of an MBA program. Rankings: Where does the program rank with U.S. News & World Report , Bloomberg BusinessWeek , The Economist and The Financial Times ? Awards: Has the business school won awards for teaching and/or online learning? Faculty: What is the reputation of the faculty? Are your teachers well-known in the business world? Have they worked in a particular industry? Do they regularly publish work? It’s a cold truth that name recognition still matters. As a 2014 PayScale analysis for Poets & Quants proved, MBA holders from universities like Harvard, Stanford and Wharton tend to earn the biggest bucks in the long run. But don’t be completely discouraged. The same study found that graduates of lesser known schools like UC-Irvine (featured in our list) will still garner $2 million+ over 20 years. If you’re unsure about the reputation of your school, see how it stacks up in independent, third-party rankings . This is the traditional flagship program for universities. A two-year MBA degree is usually a mix of classes, internships, business trips and specialty electives. Although most people take time off from work to focus on the degree, there are professionals who elect to attend the full-time program while also holding down a full-time job. Fast and intense. This accelerated full-time degree crams two years of learning into one. You’ll lose the advantages of a summer internship and the opportunity to concentrate on a specialty, but you’ll save on tuition, fees and accommodation costs. Some of the big players (e.g. Harvard, Stanford, Dartmouth) shy away from offering one-year programs. Part-time MBA degree are designed to help students juggle work and family commitments. Classes are held in the evening and weekends and the program takes 3-4 years to complete. You won’t get the intensive, concentrated atmosphere of a full-time program, but you will at least be able to pay the bills. Designed for mid-level executives and managers who are working full-time, these part-time programs are held on the weekends. Most Executive MBAs take two years to complete. EMBA students usually have more work experience (10+ years) than candidates in other MBA programs. Specialty MBAs have a tunnel focus on a particular subject (e.g. management in clinical informatics, financial engineering, accounting, etc.). These accelerated programs often cost less than a traditional MBA and may be willing to consider younger students with little or no work experience. Dual degrees allow students to combine an MBA with a relevant master’s degree in their field (e.g. law, finance, science, etc.). This helps candidates save time and tuition. For example, core courses in the MA or MS might count as electives in the MBA. Some schools also offer five-year programs where students can combine a bachelor’s degree with an MBA. Thanks to advances in distance learning, students can now gain an MBA via the Internet. We go into more depth about online MBAs in our list of the top online MBA programs from accredited, non-profit schools. A number of companies, especially in the fields of finance and consulting, are interested in helping strong employees further their education. Check the employee handbook and/or talk to the Manager of Human Resources about tuition reimbursement programs and scholarship opportunities. If that doesn’t work, arrange a meeting to talk to your employer directly. Make sure you are armed with information about the program’s costs, benefits, curriculum, reputation and accreditation. State how you’re planning to help pay for the degree and explain what you’re willing to give in return for assistance. Be ready to show how your MBA will benefit the company and your fellow colleagues. Generally speaking, employers are not philanthropists. They view MBA tuition assistance as an investment in the long-term growth of the corporation. In the case of tuition reimbursement, corporations will typically finance your MBA tuition (and sometimes other expenses) in return for guaranteed years of service and/or a lower salary. You pay for the MBA upfront and the company reimburses part or all of your costs later. Sponsorship agreements differ from company to company, so read the fine print carefully. You may be required to earn a certain GPA (e.g. an “A” average or better) in order to be eligible for full reimbursement. Firms will also want proof that your school has proper accreditation. Reputable non-profit schools and universities will have accreditation from one of six regional organizations. You can find a breakdown of regional accreditations and warnings about “diploma mills” in our article on Accreditation: Understanding the Difference Between Real Schools and Diploma Mills . In addition to regional accreditation, you should also look for recognition from business-focused associations like AACSB, IACBE and ACBSP. Established in 1916, AACSB is the benchmark accreditation for business schools. One thing to watch out for – AACSB accreditation and AACSB membership are two different things. A school can be a member of AACSB without being accredited. Fortunately, AACSB provides a global list of accredited business and accounting schools on its website. Founded in 1997, IACBE accredits associate’s, bachelor’s, master’s and doctoral-level degree programs in business and business-related fields. You can find a directory of IACBE-accredited programs on its website. Formerly known as the Association of Collegiate Business Schools and Programs, ACBSP was created to counterbalance the more research-focused AACSB accreditation. It primarily concentrates on teaching and learning. ACBSP accredits both campus and online-based programs. You can search for ACBSP-accredited programs on its website.